Gothenburg, Sweden and Hannover, Germany - October 04, 2018 - Volvo Trucks' flagship, the Volvo FH, celebrates its 25th anniversary this year and is one of the transport industry's greatest successes ever. Now this celebrated truck model has passed a new exciting milestone. 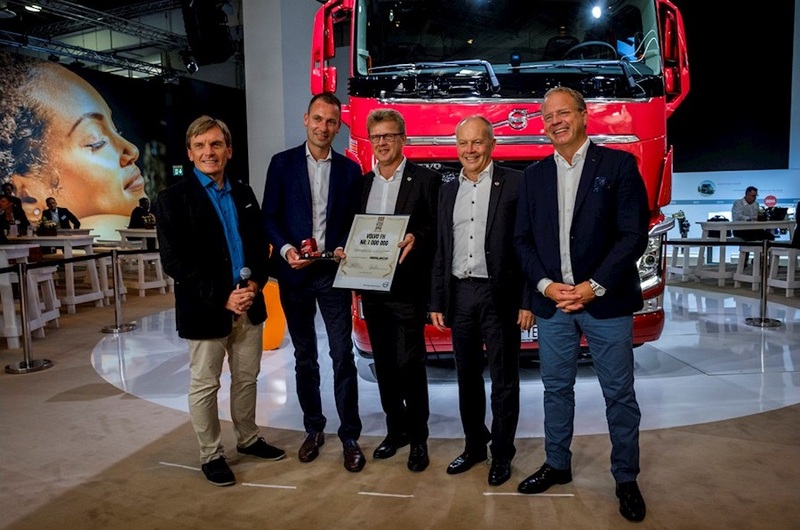 On 19th September the millionth produced Volvo FH was handed over to a proud customer at the IAA fair in Hannover, Germany by Claes Nilsson, President Volvo Trucks. From left: Christian Coolsaet, MD of Volvo Group Trucks Germany; Marco Reinhard, Owner and CEO of Gesuko; Roger Alm, SVP Volvo Trucks Europe Sales Area; Claes Nilsson, President Volvo Trucks and Martin Lundstedt, President Volvo Group & CEO. Volvo Trucks' flagship, the Volvo FH, celebrates its 25th anniversary this year and is one of the transport industry's greatest successes ever. Now this celebrated truck model has passed a new exciting milestone. On 19th September the millionth produced Volvo FH was handed over to a proud customer at the IAA fair in Hannover, Germany by Claes Nilsson, President Volvo Trucks. 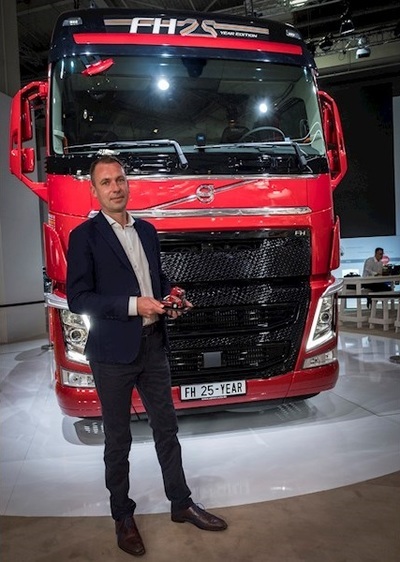 Marco Reinhard, Owner and CEO of Gesuko, at the handover ceremony of the millionth Volvo FH at the IAA trade fair in Hannover 2018. "We have driven Volvo trucks since 1976, and there has been a continuous development of the Volvo FH. We realized from the start that we had chosen a brand with the future in focus. 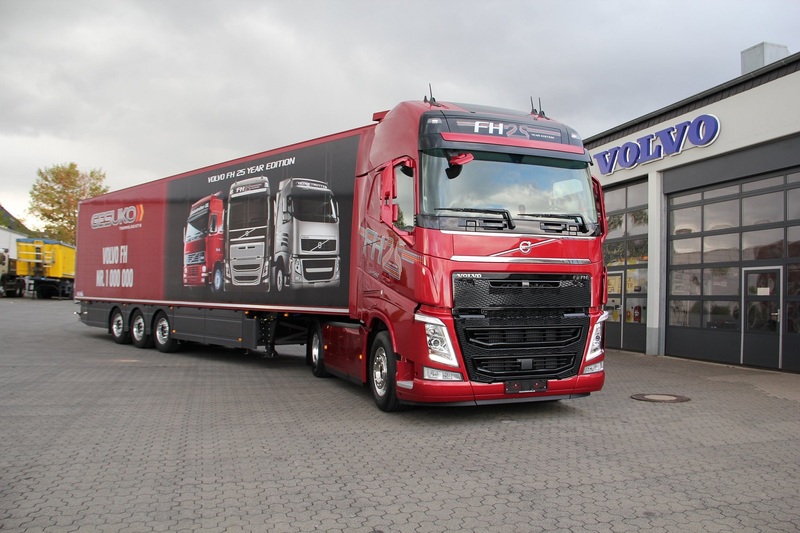 We were not only convinced by the profitability focus of the Volvo FH through a high-performing gearbox and engine systems, but also the driver handling and safety impressed us. It is a brilliant achievement by the engineers behind it." says Marco Reinhard, owner and CEO of Gesuko, a refrigerated transport company based in Bad Hersfeld, 200 km from Hannover. Claes Nilsson, President Volvo Trucks. Gesuko's fleet consists entirely of Volvo trucks, and now the company welcomes this new addition to its family. 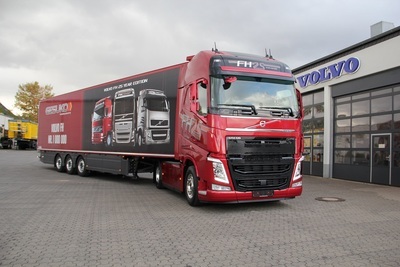 The new truck, a Crimson Pearl Volvo FH 25 Year Special Edition, has an Extra High Sleeper Cab, Forward Collision Warning and Volvo Dynamic Steering. Crimson Pearl, the red launch color of the Volvo FH 25 Year Special Edition, is a tribute to the original cab color of the Volvo FH. The image on the trailer shows how the design of this iconic truck has evolved from 1993 till 2018. "With the Volvo FH, we have repeatedly expanded the limits of what can be achieved and created new possibilities for profitable, efficient, safer transport with ever lower environmental impact. 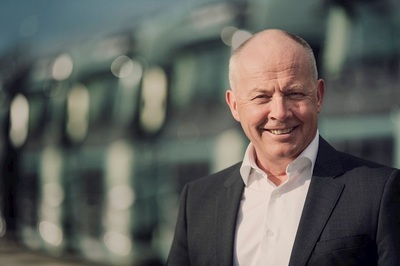 Delivering the millionth Volvo FH to a loyal customer who has been with us for 25 years is a fantastic milestone on a fantastic journey," says Claes Nilsson, President Volvo Trucks. 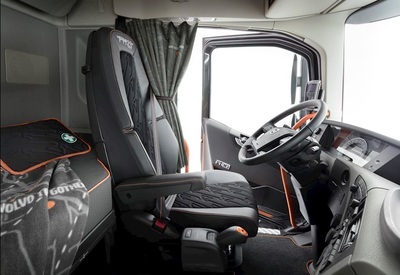 Orange is prominent in the interior design of the Volvo FH 25 Year Special Edition. 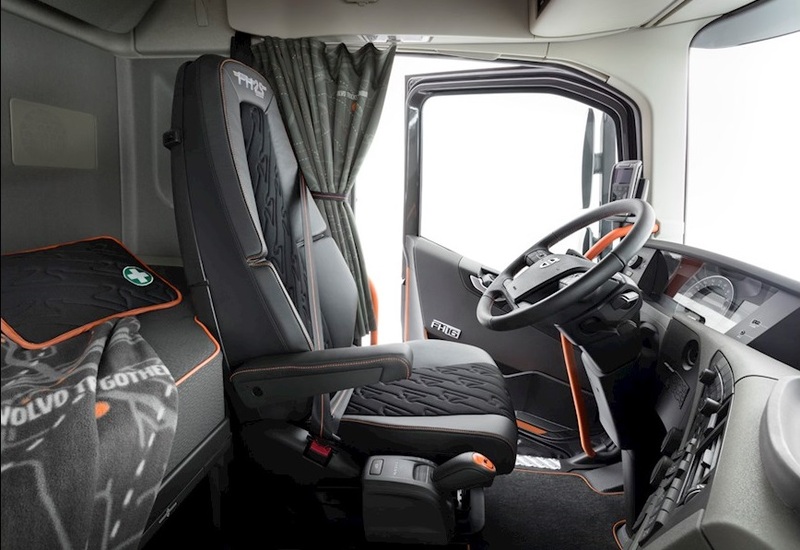 It communicates our long-time passion for safety, while adding a distinct and stylish look and feel to the cab. Auxiliary brakes: VEB+ (Volvo Engine Brake),Volvo's high-efficiency engine braking system. Volvo FH celebrates its 25th anniversary and passes new sensational milestone. 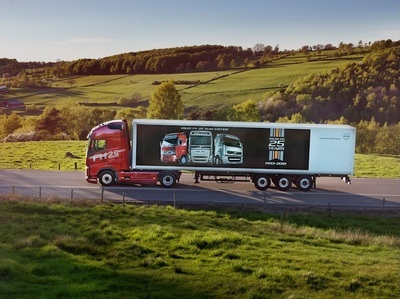 A million Volvo FH trucks have been sold since first launched in 1993.